If you’re reading this, then there’s a good chance you’re pretty creative, and are interested in experimenting with the Microsoft Xbox Kinect on Mac OS X 10.8 (Mountain Lion). Well luckily you’re in the right place. I’ve done all the hard trial and error legwork, and will hopefully be able to provide you with a simple rundown of how to get the Kinect up and running on your mac. I’ll follow this post up with a ‘part two’ where we jump into some experiments and test out some of the device’s capabilities. If you have any questions, feel free to pop them in the comments section and I’ll do my best to research an answer. So if you plan to be a developer on the mac, you can be damned sure that you’ll need to use Xcode at one point or another. 2. When you click this option, you’ll be taken to the Apple Developer website, and prompted to register or sign in. 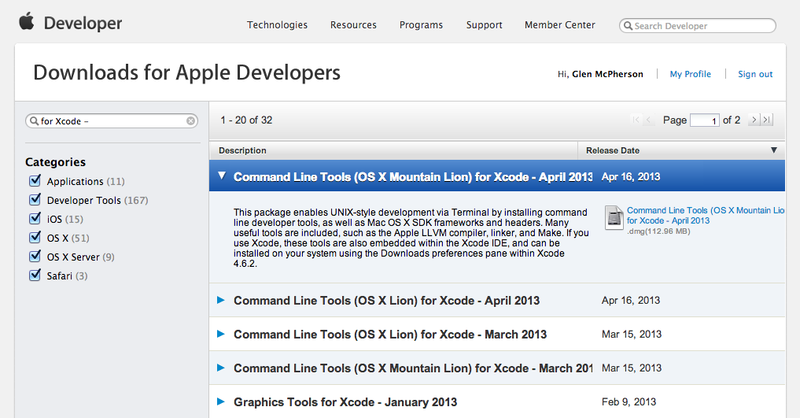 Once you’re in, you should see the Apple Developer Downloads page. Keep your components up to date via the preferences panel. And that my friends is step one complete! XQuartz: An open source version of the X.org X Window System for Mac. CMake: A cross-platform build automation system. MacPorts (click the Mountain Lion text link): An easy way to compile, install and upgrade software via the command line (Terminal app). Once you’re done installing these three apps, you can move on to the next step. Okay, so you’ve installed all the major applications, now we move onto the libraries that will help your Kinect interface with Mac OS X.
Libtool: A generic library support tool. 1. To install Libtool, firstly open Terminal on your mac: Applications / Utilities / Terminal. Libusb: A usb support tool for applications. 1. You should still have Terminal open. If not, then re-open it again. Like I stated earlier, you probably don’t yet want to install version two of this software as it will have compatibility issues with your Mac (I learnt this the hard way). 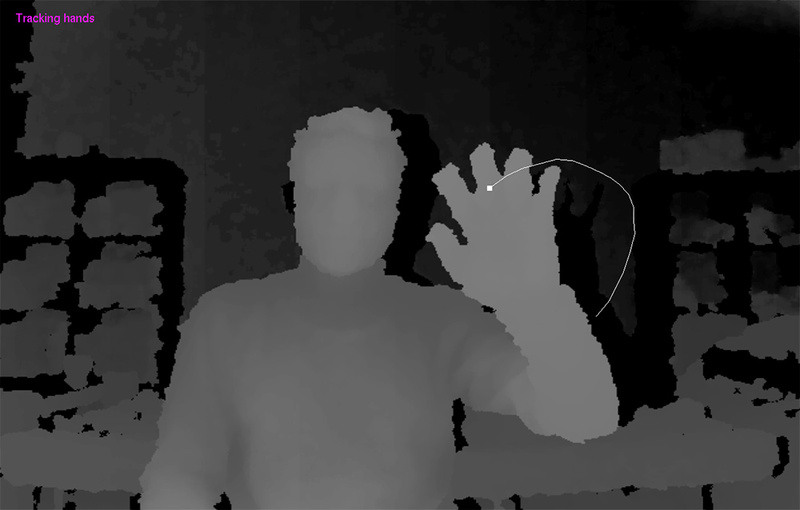 OpenNI is the primary framework that will let you interface with your Kinect. It’s made by the guys who originally developed the Microsoft Kinect, and has a bunch of cool middleware libraries and applications to play around with. 1. Create a new folder on your mac called ‘Kinect’. This will help keep things organised. 2. 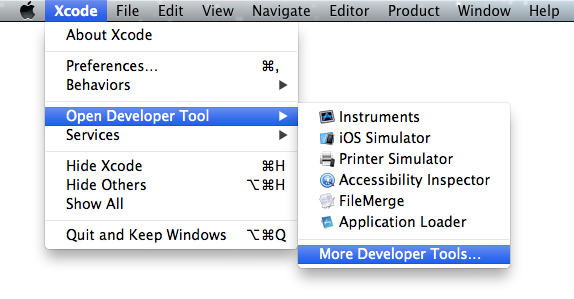 Download the OpenNI SDK v1.5.7.10 for MacOSX. 3. Move the file you just downloaded to your Kinect folder and double click to uncompress and reveal the SDK folder. At this point, you’re now ready to install the SDK. 4. Open Terminal on your mac: Applications / Utilities / Terminal. 8. Press enter, and then submit your password when prompted. If everything worked, you will see the text below, and be cool to move on to the next step. This is a module that helps the Kinect specifically interact with the OpenNI framework. You’ll need it for your Kinect to work on your Mac. 1. 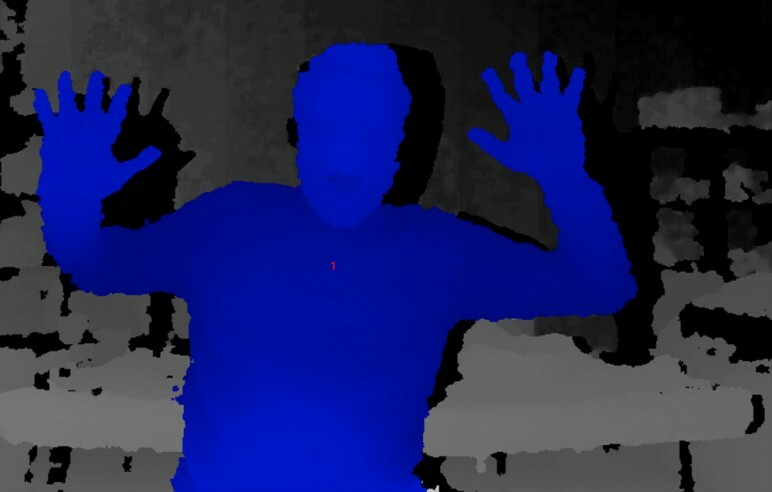 Visit the SensorKinect project page on GitHub. 2. Click the ‘Zip’ button to download the latest version of the software. 3. Move your newly downloaded file to your Kinect folder, and uncompress to reveal the module folder. 4. Open the folder, and navigate to the MacOSX .tar.bz2 file inside the Bin folder. 5. Double click to decompress this folder. Once again, you’re now ready to install. 6. Open Terminal on your mac: Applications / Utilities / Terminal. 8. Press Return to commit the action. And again, you’re done! Give yourself a pat on the back and move on to the next step. Okay, time to take a breather. You’re almost there now. The next thing you’ll be installing is ultra awesome NiTE middleware, which is also produced by the same guys behind OpenNI. NiTE uses depth, colour, infrared and audio to track your body or hand and use it as an input device… along with a lot of other cool stuff. 1. Download NiTE v1.5.2.21 for MacOSX. 2. Once more, move the newly downloaded file to your Kinect folder and double click to uncompress and reveal the NiTE folder. And guess what it’s time for now! W00t! Installation time. 3. Open Terminal on your mac: Applications / Utilities / Terminal. 5. Press Return to commit the action. Woo! Your journey is just about complete! Let’s test this out and see if it works. 2. Open Terminal app again: Applications / Utilities / Terminal. 4. Hit Return to commit the action. 6. Make sure you have your Kinect connected, and then hit Return. PointViewer should open in a new screen with a visual demonstration of the tracking abilities our newly installed frameworks can deliver. Wave your right hand around in the air and watch it track your motion. 8. Hit Return and you’ll get the demo screen again, but this time it’ll recognise your body shape, highlighting it in blue. And that my friends completes this tutorial. I hope you were able to follow along, and made it through all the steps. If you have any questions, please feel free to ask them in the comments section. Make sure you subscribe to this blog to stay up to date with any future creative tech demos and tutorials! Hey there! Firstly thanks for being the first commenter, on my first post, on my first blog! So it seems you have a number of issues, and unfortunately the crashing isn’t something I’ve been able to replicate. However, from a purely pragmatic standpoint, it might be a good idea to uninstall everything, and start over fresh. This would include applications you have tried to install from other tutorials. eg. http://d.pr/i/EjtH. Make sure you do this for everything you’ve installed (including OpenNi v2). After you’re sure you’ve completely removed everything, then try following the steps again from the start (sorry!) but it’s probably the best thing you can try. Just on a side note, what version of Mac OS X are you currently using? I’ve only tested this in Mountain Lion (OS X 10.8). Also, you may be interested in the reply I left for Bryant below (as his issue sounds similar to your own). Will you post how to make a particle system with Quartz Composer used by a Kinect skeleton tracked hand? Definitely! I’m already planning a series of Quartz follow-up tutorials. I think it’s important because most of the information out there is sorely outdated or quite lacking in detail. I’ll try to get this up as soon as possible. Stay tuned! Great, gonna follow your blog. I’d like to do some simple tracking for my wedding in 80 days. I’ve just popped up a new tutorial to get you up and running with Quartz Composer using Synapse: http://d.pr/xtRr Take a look and let me know how you go! (or if there’s anything else you might need help with!) I’ll try and follow this up with another tutorial soon too that goes more in-depth too. Cheers! After a successful install of everything, I am receiving the same “freed checksum” error as RIKI when running the samples through terminal (and processing, for that matter). I have a recent model #1473 which it seems may be the root of the issue. I was wondering what model number your kinect is? You are right, the newer model #1473 Kinect does seem to be throwing errors for a lot of people. Let me know how you go, and if that works for you, I’ll be sure to reference it in the tutorial above for everyone else too. Cheers & thanks for reading! Can it be working on code that written by Processing? Hi Edmondmak, I’ve included some of the drivers you’ll need when using Processing in this tutorial. I’m yet to write a full post on Processing, but don’t worry – there will be one soon! After a successful install of everything, I am receiving the same “freed checksum” error as RIKI and BRYANT when running the samples through terminal. Samples run from 10-20 seconds and then crash. I have a recent model #1517. The link provided above for the possible “fix” seems to be for Linux rather than targeted specifically for Max OSX. Any insight would be appreciated. Thanks for reading, and going through the tutorial. Sorry you’re having issues, I definitely know how frustrating it can be! I’ve spent some time investigating, but unfortunately the news isn’t great. The model #1517 seems to be the “Kinect for Windows” version, rather than the #1414 or #1473 models which are sold as “Kinect for Xbox”. After reading a bunch of support requests in GitHub, it would appear that this device is not quite compatible with SensorKinect (and you’re not alone). I also have doubts that #1517 is compatible with OpenNI v1 after reading this thread. For your own sanity, I would suggest buying or renting a model #1414 (preowned they should be ~$40) and testing it before going any further. If it works, then at least we can be 100% sure the device is to blame. Numerous posts by admins on other sites have suggested using a virtual machine (like Parallels + Windows) to make the #1517 work on the Mac, but of course this isn’t the nicest solution. Please let me know how you go! The only tutorial that actually worked for me! Thank you so much, I will be showcasing this at a science event for kids on August 17th in Huntington Park, CA! You helped me so much, you did me, and a whooole lot of kids a favor! Thanks Brandan! So glad you got it up and running. It’s a nice feeling knowing that I’ve helped out in some small way. Take care and have fun at the event! hi, I just following your steps to setup my Kinect on Mac OS 10.8.4. When I install HomeBrew last night…. then it said I must uninstall MacPorts. Then I following the steps…. And show the error message…. java(230,0x11ffec000) malloc: *** error for object 0x7f9806269068: incorrect checksum for freed object – object was probably modified after being freed. Could not run the sketch (Target VM failed to initialize). For more information, read revisions.txt and Help ? Troubleshooting. Great Edmondmak, glad you got it sorted, sorry I didn’t get to you in time to get to that conclusion faster. i’ve gotten everything to work so far..
but when i open up an examples they load just fine, but stop working after about 20 seconds! any ideas as to why? anyone else encounter similar problems? Hi Brian, can you check you’re using Kinect version #1414? If you’re using Kinect for Windows or Kinect version #1473 you may run into issues. Also make sure you don’t have too many other applications open and maybe try restarting your machine as basic troubleshooting precautions. Let me know how you go and good luck! I am encountering issues with Kinect model 1473. I am running Processing 2.0.3 on OSX 10.8.2. I have read a number of fora (below) and am aware that the issue may be with the model 1473. I need to work with that model and am hoping to get some help here. Amongst many sites I have read, your instruction seems most comprehensible for anyone new to this. I am sort of jumping in the middle of a project and I am not sure what has been done. It’s possible that I need to verify if any of the steps you have shown. For instance, how do you check if OpenNI (ver2) were installed and how do you uninstall it so that the ver. 1 can be installed. It seems wise that I restart the steps. So the first thing to do is to undo(verify and possible uninstall). When I run RGBDepthTest by Daniel Shiffman, I get NullPointerException error at kinect.enableDepth(depth). The console read, No Kinect devices found. With this TSPS (Toolkit for Sensing People in Spaces), I can at least see that Kinect is connected. I would very much appreciate any assistance. Thank you. Hi N, just caught this comment after replying to your other one below. If you’re looking to uninstall, you might have some luck with the -u command. There’s a brief explanation of it on Google Groups that might be of help. Note that you will need the installer to make this happen, so you may need to redownload v2 of OpenNI. Let me know how you go, and really hope you are successful with the project. I followed your step and was able to get a live feed out of Kinect 1473, using Sample-PointViewer. But it is not tracking. When I tried to run a sketch in Processing from Dan Shiffman’s example, I still get the NullPointerException error. Hi N, This one might be out of my depth. I unfortunately don’t have a v1473 Kinect to troubleshoot with, nor have I used Processing much with the Kinect. If you’re following a tutorial from Dan, then he might be the better person to contact. Apologies for the inability to help here, but really hope you get it going. What an awe tut. Worked like a charm. Next stop, Quartz composer + Synapse + Kinect tutorial. Great Ted! Glad you got it working. Let me know how you go, and make sure you keep checking back for future tutorials too! Cheers! Hey, I was doing the tutorial and I ran into a problem in the terminal section. I have a kinect for windows and the command prompt is telling me that the sudo: port: command not found ? I was curious if that means I have the wrong Verizon of the kinect or something? This might be the case, but we can troubleshoot if you like. Do you currently have the version #1414 Kinect? Thank you very much for teaching us to install the kinect on mac, but I have a big problem. everything installed fine and I work the kinect, but I work for a short time, while using kinect with processing, with the terminal or with quartz composer suddenly stops working and shows me several problems have not been solved, I think this is the most important “InitFromXml failed: USB device not found” you know how to fix it, or I have to do? thank you very much for the help, and for the opportunity it gives us to be more creative. hey, i havent got mine to work yet but that sounds like you need to install the macports… mac doesnt reference things like windows, comport1, 2, 3… so i dont know but i think it has to do with that. recognising the port as a com port. Kinect is plugged in an on, all the previous steps completed. its crazy that this is the process for kinect install. Its soooo hectic. thanks for the tut, hope someone can help me. Can you confirm the folder setup you have? Is the OpenNi installer located in a folder called “KINECT” inside your downloads folder? Thanks!!! I did everything and it works!! 😉 But I did it for make music with the kinect and I found one free app for that. I am free now to use the Kinect how I want? What I have to do when I connect the kinect to my mac? Hi Antonio, awesome you’ve got it working now. I am planning to write a tutorial on using Kinect with Ableton on the Mac, so that might be right up your alley. For now, you might like to experiment a little with Quartz Composer to see what the Kinect is capable of. Keep checking back or subscribe to my Twitter to be notified when the Ableton tutorial is available. Cheers! But… It is possible to make sounds with Quartz Composer? My MAc will recognize always the kinect? Because when I do all the steps you write, I get it, it works, but now, I can´t do again. Mi first purpose to install kinect was to install GESTRUMENT, a free app to play music with the kinect. When I finished your installation I try to start Gestrument but it says: “no kinect connected” or something like that what can I do? Quartz Composer will help me for that? Must I uninstall your sister and start with another drivers? I did all your steps thinking at the end the mac book will recognize the kinect like when you install the drivers of that. Thanks! I am teacher of music and I want my children enjoy the kinect with sound. An Ableton example would be pretty cool! Thanks! , all went through fine! What would you suggest me now to start learning how things work and write some code for the Kinect? Hi Matteo, glad you got it working! You might like this tutorial on using Quartz Composer with the Xbox Kinect I wrote recently. I’m also planning some new articles on this topic, so keep an eye out! Man, thanks to you and the people commenting on this post. With this tutorial and the links in the comments I finally got what I wanted. I spend some days before stumbling over this. It is to the point and works incredibly well. Keep up your excellent work. I will look into your other tutorials here soon. Glad I could help! I’ll keep them coming, and hopefully you can create some cool stuff with your Kinect setup. Have you any idea of what can I do? Thanks for reading the tutorial! In order to get you up and running I just need to rule a few things out. Can you please flip your Kinect upside down and post back with your model number? See this image for the model number location. I’m glad you’re up and running! Sometimes it can be just as simple as closing everything and trying again. Have fun! InitFromXmlFile failed: File not found! Ok figured out that error….the samples xml files were moved instead of copied so I copied them back to the original file but now I have a new error trying to get PointViewer to work. Device: PrimeSense/SensorKinect/5.1.2.1: The device is not connected! The device is connected and I see a blinking green light. Did I miss a install? Yes, the blinking green light will generally occur when the Kinect is connected to the Mac via USB (even when you’re not using it). When the Kinect is active (communicating with the Mac on purpose), you should be able to see a flickering red light on the left-most sensor. I noticed you mentioned you’re using Mac OS X Mavericks, and some newer versions of the software listed here. I’m yet to upgrade (just finishing a large project at work first), but when I do (soon), I’ll revise and repost this entire tutorial specifically for Mac OS X Mavericks 10.9. For now, just to double check everything. Try disconnecting the Kinect, restarting your computer, reconnecting the Kinect and then following the tutorial once more. If it’s still not working, we may be looking at a Mavericks issue. I’ll try to replicate when I upgrade, and solve it in the next tutorial if necessary. Let me know how you go! Either here or via Twitter. Thanks for a great tutorial! I successfully completed all the above steps, but my query is a fundamental one! How do I connect the Kinect sensor to my Mac? Please let me know! Thanks again! Yes, your Kinect should be plugged into the wall (electrical socket), and then the usb connects to the Mac. There’s a discussion of this on MSDN which might be helpful. Have fun! thanks for your tutorial. But the last stop dosen’t work. Can you help me? Thanks a lot. Thank you so much for this post! I was freaking out when I found out Kinect wouldn’t work for my project. Luckily I found your post. Just wanna add, I am not sure what you meant by “command line (Terminal app) “, I ran to problem when linking different directories while reaching Step 4, but what worked was when I was holding down the “command” key while dragging the file to the terminal. Many thanks again! You rock! Hey thanks so much. Glad you got it all going, and thanks for posting the tip for other users! Do you know if this will work with OSX 10.9 Mavericks? Thanks, looking forward to getting this going! Thanks for all of this great info. Really inspiring and helpful. Hi Mike, yes you are correct, I do have 3 USB objects listed: Xbox NUI Camera, Xbox Kinect Audio, and Xbox NUI Motor. Please see: http://d.pr/i/vKV8 I’m not sure why your audio and motor objects aren’t showing up, if you do find out, please post back and let us know incase anyone else is having the same issue. Just curious, have you tried using a different Kinect? Read failed: A timeout has occurred when waiting for new data! Do you Know anything about this on Mavericks? Hi James, I don’t at the moment. I’m trying to get the time to rewrite the guide for Mavericks, so hopefully when that gets up it’ll help answer your questions. Keep an eye on my Twitter, and I’ll tweet when it’s live! Kinect for Xbox Model 1414 – Works! It works fine! I love it! and seems that this combination is ver stable! I don’t know yet what I will do with all this… But it brings me millions of ideas! Thank you all freaky nerds! I love you! Great news you got the Kinect Model #1473 working! I currently don’t have that model, so was finding it hard to help people, however I have ordered 2 more Kinects this week, so there’s a possibility I can try it out too. PrimeSense / SensorKinect / 5.1.2.1: The device is not connected! I followed the advice of Carolina and others on various blog. I can not find. Does that come from the Kinect? I have the 1520 model Kinect. Great tutoriaI, I also need assistance with my 1520 model, same error report. Any help you be greatly appreciated. Were you able to find any work arounds. I noticed this in one of the forums. Alright after following all the steps described at https://github.com/ofTheo/ofxKinectV2153 the camera model 1520 is now working for me. -dont forget to update the camera firmware by connecting it to a windows 8 computer (USB3) with the Kinect SDK installed. I followed all the steps only to get the same error “device is not connected”. By the way, OpenNI2 does work on my Mac (10.5.8) but I cannot get to VGA resolution. Only 320×240 can be set programmatically. I guess this is a default for all the samples. Do you think it is somehow related to USB 3.0 or some software issue? Hi Glen, did you manage to update the guide for OpenNI2 + OSX 10.9? I, among others, would love that. Thank you for sharing your findings! Hi, do you know if this procedure works with Maverick OSX? Because I got some troubles trying to make it work and of course is in the Terminal part. Some of the steps fail and I never can type my password and see it. Very awesome of you to support this cool technology…kudos !!! I used this all a year ago (Model 1414) on another Mac machine and it worked great for me but got a newer 2013 MacPro machine OSX 10.8.5 and am having some issues. I did the install as suggested above and got Synapse running but can’t get the skeleton to bind. Any thoughts were I might be screwing up and why I can’t get a bind in Synapse ? Thanks for the comment Tim, and hope I can help you out. Sometimes I find this can happen if your legs aren’t visible in the Kinect’s field of vision. It might be good to try standing a little further back from the Kinect to get as much of your body visible as possible. Also, the Kinect seems to work better in a room that is well lit. If that still doesn’t help, it might be worth running over all the steps once more to make sure everything is open and working. Let me know how you go, and if that advice helps at all! Hey Glen, first of all thanks for this great stuff!! it is much more accurate and should be faster. do you now anything about, it if it is working too? Hi Francesco, Firstly thanks for the compliment! Glad to know you’re enjoying the site. You could have ordered a developer edition prior to release (for $399 US), but unfortunately registrations are now closed. See this link for more information. If you’re looking to get started with Kinect, then I’d definitely advise you to start with the old Kinect 1. There’s plenty of great software out there to get you going, it’s incredibly cheap to get up and running, and you’ll learn so much as you go. Then when the day comes that Kinect 2 is released and supported, you’ll have a great foundation on which to upgrade from! As soon as developments in Kinect 2 support for PC/Mac are made, I’ll be detailing them on this blog. It might be worth dropping your email in the subscribe form (in the sidebar), or following me on Twitter so you know when that happens! 2 macs and 5 days.. I followed your instructions today and hey presto.. 45 mins later and it’s all working. A few pointers you outlined that were invaluable, go with the older builds of NITE and SDK Kinect.. they work. Also make sure the wiring is correct, you need to isolate the USB from the Xbox but also the Xbox connector for the USB when shifting between machines. Great stuff – glad you’re up and running Matt. Hope you’ve got something interesting in mind to create now you’re Kinect is working! I did what they say AFTER using your instructions. Now, the samples work fine and my kinect works with Processing. I’ve tried all the samples of library SimpleOpenNI too. No crashes!!!!! I’m writing everything i used (without having an idea for some of them) in order to help all the others who know more, to understand what is exactly the problem with model 1473. Awesome Eleftheria, I’m so glad you posted that. Hopefully it helps some other people out in the same situation. If I manage to get my hands on a model #1473, I may be able to add an annex to the tutorial to cover this. Thanks for your help and writing it down so clear. I have successfully been able to run Sample-PointViewer with a Kinect model 1517 (Kinect For Windows) on OSX Mavericks. I have been programming Kinect applications for Processing using the Simple OpenNi library. I was expecting Processing to work with this Kinect camera after following your installation guide. Unfortunately this is not the case, even though I receive an image with the Sample-PointViewer example. Have you got any clue on how to make this Kinect 1517 running with Simple OpenNi on Mac OSX? For your info: My Kinect model 1414 does work with SimpleOpenNi. I already have installed all components and apps you said previously, but I don´t know why I have this problem! Or is there no problem with that and can I continue with the next steps? I hope you can help me with this question! And by the way! Even I haven´t finished to configure all the steps, but it´s a excellent tutorial! It may be fine, try continuing and see if the Kinect works at the end of the tutorial. If not, then I’d suggest following this uninstallation tutorial first, and then following this tutorial again afterwards for a ‘clean’ installation. Mac-Pro-de-Patrick:OpenNI-2.1.0 patrick$ sudo ./install.sh and give my password, nothing hapends. Why ? Great writeup. Everything worked smoothly, which is probably the first and only time I can say that with command line tutorials! That’s so great to hear Luke! Thanks for the compliment! Hi! The OpenNI website isn t working ! http://www.openni.org/openni-sdk/openni-sdk-history-2/ Gives me an error. I have to buy windows for kinetic? then i can try this page? Hi there, if you purchase the Kinect with the AC Adapter, you should have a USB port on the cable that you can then connect to on your Mac. Definitely don’t purchase Kinect for Windows if you’re looking to use it on your Mac. Look for model #1414. Hi! This is a great tutorial!! Thanks!! The OpenNI SDK website is off. Could anyone upload the OpenNI SDK (v1.5.4.0)? Maybe the OpenNI 1.5.7.10 SDK used for Mavericks setup works too? I’ve updated the download links in this tutorial now (you are right, the ones for Mavericks were active). I also put them here for you! Hi Glen, I bought model 1414, ac adapter. Step7. Download NiTE v1.5.2.21 for MacOSX. i can’t download this File. i download 3hour. it doesn’t work. Can i get Download NiTE v1.5.2.21 for MacOSX. your Tutorial very kind, really thank you. Those downloads are definitely working. Are you able to try them again today? Sorry if it’s obvious, but make sure you click the red ‘Download to your computer’ button after you click the link to start the download. The NiTE file is around 118mb and can take a while depending on your connection. OpenNi is pretty small at around 7.5mb. Oh my god!!!!!!! I’m succeed!!!!!!!!!!!! So exciting!!!!! Thank you so much. i tried this again, again,,,, Restart computer maybe 6~8 times…. I’ll using this. at the my performance. maybe with musician. i;m so happy. You made the best tutorial on this i ever tried. well, you even mentioned the “hit return”. Hi, thanks for this tutorial it’s been a lot of help. However, I am stuck right at the end and no idea why it won’t work. I’ve followed all of the steps exactly (twice after uninstalling everything). I have a Kinect 1414, when i run the command to test it just shows a black screen with text saying to make a wave or click motion in purple. I then tried the next one and it didn’t work at all, tried the point viewer again and it now doesn’t work either. InitFromXml failed: Device Protocol: Command Invalid! InitFromXmlFile failed: Device Protocol: Command Invalid! no idea what to try now as i’ve gone through this exactly, any help would be really appreciated, really eager to start developing Kinect based interactive displays. If it also helps to know i had tried using a processing library to use the kinect and the sketches would run but again the display would be just black. Hello, tranks for the tutorial. But I´ve a question. It´s the kinect sensor archive the correctly? because when i download the file see that the file name is “sensorKinect-UNESTABLE”. The question is, this is the correct file or are another more “STABLE”. Thank You a lot. Every step before it, it is supposed to be done in a right way. Do you have ever heart about this problem? (I’m working with a Maverick Macbook Pro). Thanks for the tutorial, everything worked well! Is there a way to use processing code to write programs for the kinect or is your set up only compatible with your examples? Thanks! This looks helpful but I just purchased an Apple Mac Pro with Snow Leopard OS installed on it through eBay. I intend to use it primarily to run the Windscape virtual window software in conjunction with a Kinect model 1414, also from eBay, and a flat screen or two – whichever the ATI video card can support. I have A+ certification but it is very out of date and out of practise. I’ve never dealt with a Mac before. How well do these instructions apply to the Snow Leopard OS? With so many specific instructions I’m pretty sure something is going to be missing or not appicable on the different OS. Can you please give me any leads? I’ve put a big chunk of my income so far into this for the sake of my roommate who longs for a view in her office area which is in my basement. Its is a small but nice basement but without windows. You know, this sounds incredibly interesting. I hadn’t seen the window software before, but would love to test it out too. I’m trying to get some time to invest in this blog and some exciting new projects, so hopefully that’ll happen soon!! Any ideas where I might be going wrong? Apologies, a recent WordPress update changed the code snippets on this website. I’ve fixed everything now so you can run through the tutorial with no issues. I have the same issue as Cath ([stag-code: command not found) but I can’t find the fix you talk about. where I can find It? I had an issue when the site template was updated (it removed all the custom styles). I’ve gone back through this article and amended the broken code snippets. If you guys find any more please let me know! Do you know what can I do? Hope you can help me out! Hi! Thanks for a great tutorial. Im kinda stuck in the beginning, I get the error message “Error: Port libtool not found” when typing “sudo port install libtool” in terminal, what can this mean? it gives me this error. Hi Glen! Thanks for this super-clear tutorial! I’m getting this in step 4…. Doesn’t really pan out. I’m not getting the resultant text indicating this and the next step worked, and so I think the installation goes sideways from there on. Far out they really made this difficult didn’t they? I was wandering if this setup works with Yosemite 10.10? also is this the instructions to get the Kinect working with Synapse? Thanks! That was a great setup guide, I could have never done without it. OK i went thru until NiTE… there is no more NiTE since Apple has bought PrimeSense… someone has an archive of NiTE 2? Glen, can you help here? thank you. – if you want to update the post, you can’t install openNI or SensorKinect on OSX El Capitan before first bypassing SIP (which means running csrutil disable from the Terminal from the Recovery OS). – the download link for the NiTE package is broken, and I can’t seem to find it anywhere else online, would you mind putting it up again or sending it to my email pierre.depaz@gmail.com ? thanks! OpenNI SDK & NiTE download links are no longer available. What now? Hey, try those links again – they should be updated. Would you be interested in purchasing a book or Udemy course on creative ways to use the Kinect sensor? Yes, an instructor-led video course. © Copyright 2014 to infinity, Glen McPherson.